As predicted, when the oil companies claim they will be leaving the area, it must be taken with a grain of salt. Even with record low oil prices, oil exploration activities continue in Oakland County. The oil companies stated earlier in 2015 that they had “vacated” the three neighboring communities of Rochester, Rochester Hills and Shelby Township. It now appears their interest, for now, has shifted focus to the City of Southfield. On Nov. 4, 2015 the oil exploration company, Jordan Development, filed an application for drilling on the grounds of Word of Faith International Christian Center. The oil drilling permit application occurred after Southfield’s City Council imposed a moratorium on oil drilling. Jordan Development has stated that they believe a moratorium on drilling in Southfield does not apply this project because the MDEQ is the governing body. The MDEQ is currently reviewing the permit request and the residents’ voiced concerns over drilling in a residential area. Southfield is currently in the process of drafting a new ordinance to be put in place before the moratorium expires in April. 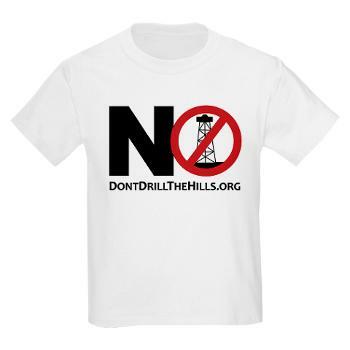 The moratorium is intended to protect the community by regulating the oil exploration practices. Once again, the oil and gas exploration company is pushing its agenda while ignoring the concerns and legal objections of affected communities by seeking state authority to overrule local ordinances and moratoriums. Although not a direct neighbor of Rochester Hills, the Southfield issue does illustrate that interest and movement in oil and gas exploration in residential areas continues. It also illustrates that communities are “under attack” even if they have moratoriums, ordinances, and in Rochester Hills’ case, a specific City Charter that has been violated. Don’t Drill the Hills remains vigilant and hopes that the citizens of Rochester Hills will continue to be alert too. We must prevail in protecting our neighborhoods. Our case for the Rochester Hills City Charter violation and denying residents the right to vote is scheduled for oral arguments in the Michigan Court of Appeals on March 8th, 2016. Let’s make 2016 a year of true community involvement. We ask you to assist and notify us should you become aware of unusual activities in our communities such as land clearing, new unpaved roads, heavy trucking activity, or lengthy land survey activities. Don’t allow yourself to wake up one morning with a well in your “backyard” like Shelby Township did in 2014. Is the view from your home about to change?